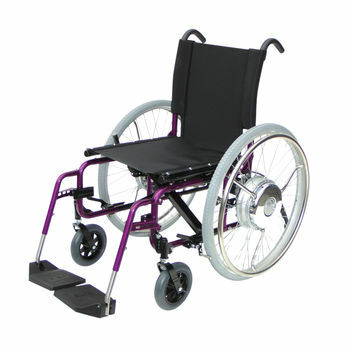 Type B: This model is recommended for wheelchair users who have difficulty in operating the hand rims to move around. (Eg. persons with cervical vertebra disorder). The supplementary power is activated with relatively light application of the pushrims.